Overtraining is the result of your body’s inability to cope with the total amount of stress. Several symptoms are associated with the overtraining syndrome: Decreased performance, mood changes, weight loss, decreased appetite, muscle soreness, reduced motivation and fatigue. I guess most cyclists have experienced at least one or more of these symptoms, but that doesn’t mean that most cyclists have been overtraining. Distinguishing overtraining from overreaching is important, because overreaching is a very natural process when we train. 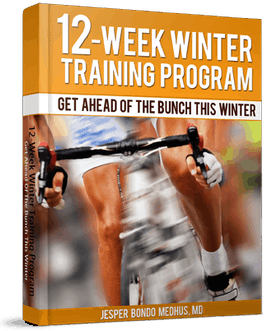 If you take a look at one of my training programs, you will see that it is based on three weeks with overreaching followed by one recovery week. When you get to the third week, you will not feel stronger than you were in the first week, but after a recovery week with super compensation, you will be stronger than you were when you entered the program. Using a training program structure like this is what I call ‘controlled overtraining’. Many riders use the term ‘overtraining’ for both overreaching and overtraining and I guess that is why many riders diagnose themselves as overtrained. The problem is that if you are really in an overtraining situation, it can take several months before your performance is back at 100%. If you have overreached in a period, a week or two is normally enough to get you back on track. This principle is often used in tapering protocols, where training volume is reduced the last two or three weeks before a big event. Overtraining syndrome doesn´t happen over a night or week. It takes 6 to 8 weeks or even longer to develop. The cure for overtraining syndrome is often a significantly reduced training volume and intensity. Your body needs time to fully recover from the total accumulated stress in the past months. When you are overtrained, you have probably forgotten about basic principles of recovery. A differential diagnosis could also be that you have reached a training plateau, which is also a very natural thing, still frustrating though. I covered that topic in two posts – Dealing with training vacuum – Part one and two. Our understanding of what overtraining really is relies on theories that are not yet proved. Sympathetic and parasympathetic overtraining is often discussed, referring to the autonomic nervous system. In this model the symptoms are caused by an imbalance in the autonomic nervous system. This theory was made back in 1958, but still one of the most referred theories about overtraining. As we don’t know what overtraining exactly is, we should try to use our knowledge about basic exercise physiology to prevent development of overtraining. A good strategy is to write a training diary. When you notice some of the symptoms mentioned above, then consider whether that is caused by an insufficient recovery from the past training. In this way it is possible to minimize the risk of overtraining, because a training diary implies you to react early. What is your main strategy to prevent overtraining? This makes sense to me. I use the 3+1wk cycle and it works really good. It´s also very motivating to know that there is an easy week coming up when I’ve worked hard for three weeks. One of the best thing a beginner should learn is the importance of periodization. I use my resting heart rate to prevent overtraining. Normally it is in the range 42 to 46 in the morning. If my resting heart rate is higher than 50, I normally take a recovery ride or a day off. 3+1 seems to be a common approach to preriodization, but have also heard of people doing 2+1 especially during periods of high volume in intervals and racing. also, i would be curious about doing 4+1 especially during winter training, when most riding is endurance and there is cross/weight training. curious what your thoughts and experience has been using 2, 3 or 4+1 for periodization? @Willam – You are so right with your comment about periodization. Structuring training with solid periodization principles can help beginners perform a lot better without training harder. @Tommy – Resting heart rate is a good tool to discover acute overload like a hard training session or maybe illness. Yet, it cannot stand alone when you should discover overtraining since elevated resting heart rate is not mandatory when you are overtrained. @Marcus – I use lots of combinations my self like the 2+1, 4+1 and maybe 6+2 etc. 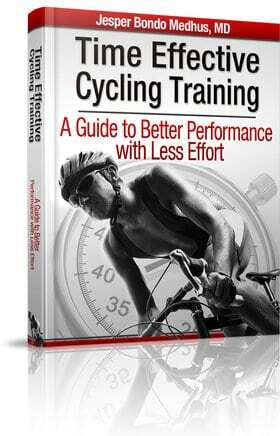 The only reason I mention 3+1 is because I believe it is the most common way to periodize training among cyclists. My decision on which protocol I choose is based on a lot of factors like intensity, training amount, time before peak event, race calendar etc. Really great website. Have been looking through the power meter stuff and wondered if you could post the exact testing protocol you used please? Did the riders do all four power tests in one session or were they spread out throughout week 1? Thanks! How long did participants rest between the 10 second efforts and also between those and the 1 minute effort. Are the 10 second efforts from a standing or rolling start? Really nice page you’ve created here!